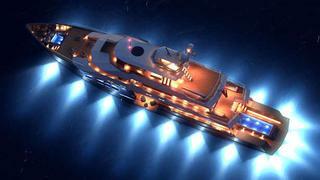 Burgess in London tell me they now have the new-build 50m expedition yacht Big Star for sale. Inspired by the award-winning success of McMullen & Wing’s 45m expedition yacht Big Fish, which went on to achieve an extraordinary charter track record, Big Star was conceived by the same owner and is now under construction at the same New Zealand yard. Sharing the same highly efficient displacement hull form as her predecessor, she offers extraordinary volume, stability and outstanding sea keeping characteristics. Her current design includes a flexible layout for up to six guest cabins, a 38m owner’s deck and extensive outdoor living options, including a large aft deck with splash pool. There is full scope for a new owner to bring their own influence to the interior layout and design of this masculine, modern design which is already equipped with an immaculate engine room and a comprehensive inventory. With an asking price of $30 million, Big Star can be launched in less than two years.